Last Thursday I had the pleasure of attending Red Ticking's Anniversary Party in Seattle! The Owner, Pam is such a delightful person and has done an amazing job with the store! 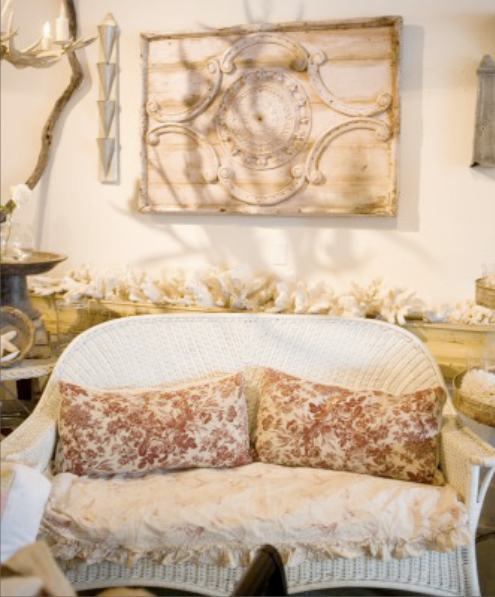 Stemming from her passion for textiles and trips to Paris flea markets, Pam decided to open her own special corner in home decor six years ago! I could have spent hours in the store admiring Pam's beautiful, unique finds. I was especially smitten with the mirrors (no surprise there) and chandeliers! If you're ever in the area, this is a must see. You'll be so glad you stopped by! After the party, Sarah of HauteDesign, Erin of Apartment #34, Cassandra of coco+kelley, and I ended the night with a delicious Italian dinner at Rialto! It was so much fun chatting with these creative and inspiring ladies! Such a fabulous night - so glad we were able to make it happen! Love the photos! 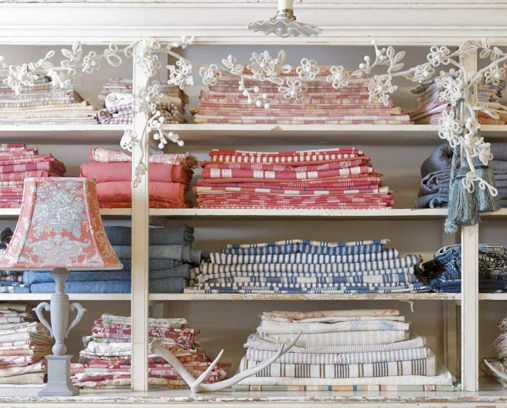 All of those fabrics look beautiful! This store looks beautiful! I'll have to remember it if I make it to Seattle one day. what a gorgeous store too! Oh sounds (and looks!) like so much fun and what a lovely store! What a great shop! I love those fabrics. And you all look fab. I am sure you had a good time! Ooooh, such cute pix of you blogging geniuses!! 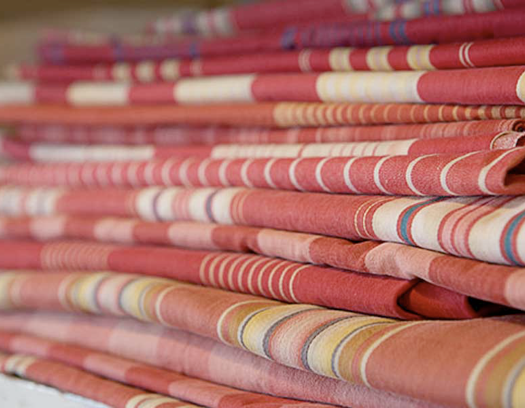 I really want to check out Red Ticking, loving those fabrics! I love the big armchairs! They look so comfy.